This one was written by Nico Ghibaudy. Or at least it feels that way. We are easily deceived in moments of weakness. It’s easy to allow the cinderblock of post-sin guilt to outweigh the infinite joy we have in the presence of God. Guilt feels heavier. Turning to Jesus in the aftermath of a sinful fall is like a child looking his parents in the face after he was told not to draw on the wall with colored markers but did it anyway. It’s hard to look our Father square in the face and admit that we were wrong. Romans 7 speaks to our inherent twitch to do the things we know are wrong instead of doing what we know is good and pious. (“We know that the Law is spiritual; but I am of the flesh, sold into slavery under sin. I do not understand my actions. For I do not do what I want, but I do the very thing I hate.”) Paul’s words ring true, but usually after we feel the weight of guilt. It’s funny how that works. 4th century Christian philosopher Augustine offers us an in-depth perspective to this expression of guilt in his Confessions. 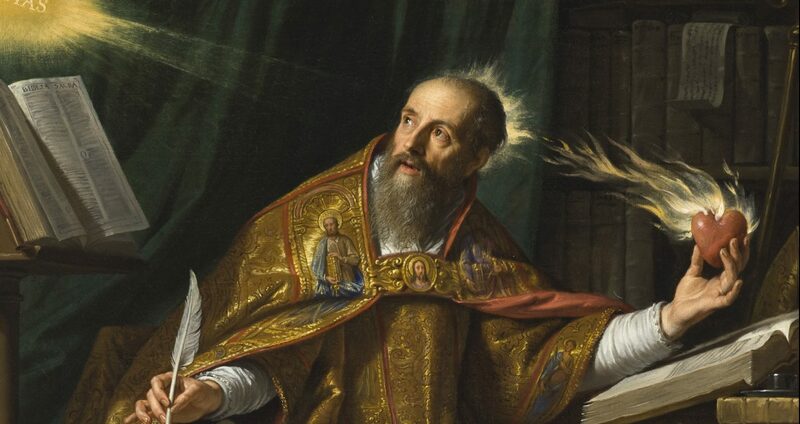 While in the midst of a 13-year relationship with a teenage concubine of lower social status, Augustine felt trapped in the pursuit to satisfy his sexual cravings: “I was bound down by this disease of the flesh. Its deadly pleasures were a chain that I dragged along with me, yet I was afraid to be freed from it.” Here, Augustine is feeling more than just guilt; he feels frustrated. We feel this frustration because, we tell ourselves, “we know better.” While head knowledge is useful and practical, the heart is wicked above all things. In a similar way, we feel inadequate when we fail to measure up to a godly standard. 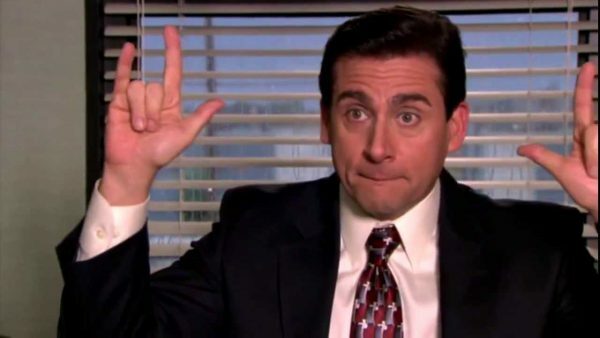 If you’re as much of a fan of The Office as I am, you’ll know that one of the themes of the NBC mockumentary is Michael Scott’s long and terrible pursuit to be loved and accepted by everyone in his circle. His work hours are mostly spent trying to earn the love of his coworkers by constantly being the center of attention. As a result of his steady insecurity and futile striving, he acts out in ways that are socially inappropriate and borderline cringe-worthy in order to be noticed. Though it pains me to admit it, we are all Michael Scott. We strive to measure up to the Lord and to others so that we are either viewed in the limelight or accepted in our communities only to discover time and again that we do not have the power or resources to fulfill a standard. We will never measure up to the mirror of the law which tells us time and again how unlawful we actually are. Our efforts are drowned and our inadequacies are washed only in the blood of Jesus. We feel dissatisfaction, too, because our hearts are in a constant tug of war between our natural inclinations and what we know the Lord commands of us as believers. But no matter how long the tug of war, one side will eventually end up face down in a mud puddle. And unfortunately, dissatisfaction and hurt are often intertwined. Although hurt is the result of being sinned against or of self-inflicted wounds, it is not the end result. Hurt is sandwiched between the grace of God before and after our wrongdoing. There’s light after darkness and joy after sorrow, and soon the new day. Sin weighs a ton, but the grace and presence of God weighs much more. The scale is so unevenly tipped in the favor of our loving Lord that we do ourselves a disservice by dwelling on our sin for long before looking unto the One whose power is made perfect in our weakness. Living in the presence of God is not entering a room and “feeling” that God is there; He is everywhere all the time. Since God is always present–even when we’re not–we have unparalleled access to the Father through Christ by the power of the indwelling Spirit. Coram Deo (Latin for “in the presence of God”) means living in the presence of, under the authority of, and to the honor and glory of God. Though we do this imperfectly as offenders of the law and as victims of frustration, inadequacy, dissatisfaction, and hurt, we nevertheless abide in the presence of God under the watchful love of our wonderful Father. When Abraham spoke to the Lord in Genesis 18, he realized his humble role in the conversation: “Abraham answered and said, ‘Behold, I have undertaken to speak to the Lord, I who am but dust and ashes.’” Abraham’s willing and meek acknowledgement of his place in the presence of God should bring us to our knees–this presence is ours now. God’s grace was sufficient to bless the sinful father of many nations (who was righteous by faith) just as it is sufficient to bless all his sinful children. God’s grace is sufficient for dust and ashes. 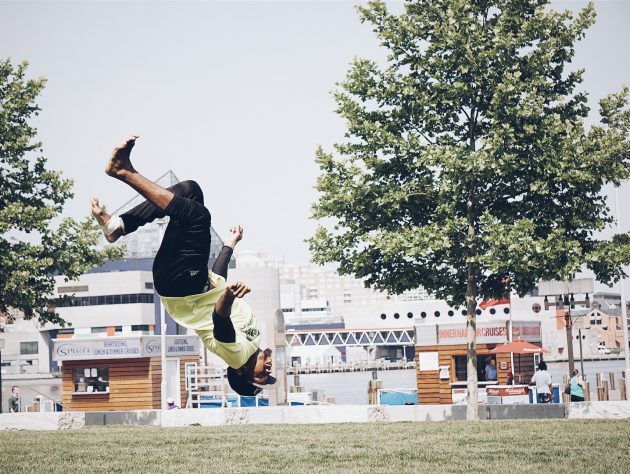 As heavy as the ocean and as dense as a mountain range, the joy of Coram Deo gives us a big-picture reason to celebrate what is to come even though we still fall. He rose.